I … don’t even know where to begin. I hate that I’m writing this article. 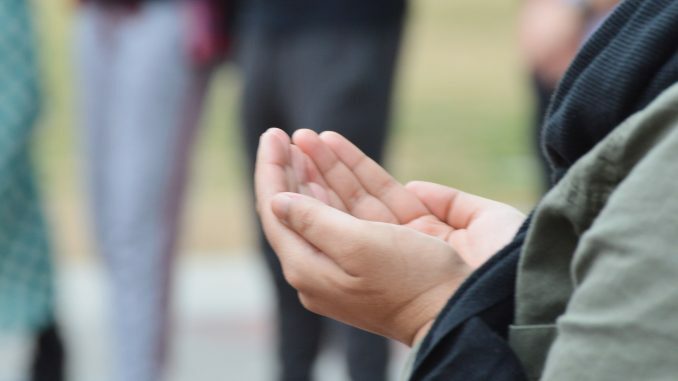 Fifty Muslims were killed and 50 more injured in New Zealand in a hate-filled terror attack at two mosques during Friday prayer. And I still haven’t fully processed it. I read the news early Friday morning when I woke up for morning prayer, and I burst into tears. My community of sisters and brothers in Islam was attacked in horrifying violence perpetrated by white supremacists spewing anti-Muslim anti-immigrant rhetoric. Again. I should have been shocked. But that’s the thing. I wasn’t. I wasn’t shocked when a London man drove a van into a group of Muslim worshippers leaving evening prayers during Ramadan. Nor when six Muslims were killed in Quebec City half a year earlier. I will admit I can barely get through a full news article on the shooting. My heart breaks a little more by just reading the headlines. The stories are painful. A father watched a bullet hit and kill his toddler son, then cradled him in his arms, whispering, “God is sufficient, He is my protector,” into his ear. Naeem Rashid and his son Talha tackled the shooter outside the mosque in an attempt to stop him. They were shot and killed. Hosne Ahmed died trying to save her husband, who uses a wheelchair. The youngest victim was 3-year-old Mucaad Ibrahim. He died after he was separated from his family in the chaos that ensued during the attack. And these are the people you label terrorists. Waking up to more headlines of terror attacks and hate crimes has become the norm. But this time, it hit me differently. I’m still in a state of mourning, anger and heartbreak. Never have I mourned so deeply the lives of people I did not know before March 15. And maybe I should take a second to explain why Christchurch has, to an extent, traumatized me. The Muslim community quite literally functions as one working unit. We believe in the oneness of God, and therefore, the oneness of our community. Christchurch Muslims are my sisters and brothers just as much as my VCU Muslim community. That’s a famous saying of the Prophet of Islam, and I have never found it to be more true. Ever since reading that first breaking news alert, there has been a weight on my heart and a heavy feeling in my chest. Al Noor and Linwood mosques in Christchurch, New Zealand, could have been Masjid Al-Nur in my hometown. Fifty people. My heart still does not rest. But I have found peace in the stories about the worshippers at the Christchurch, New Zealand mosques that exemplify Islam in its greatest form. One of the shooters decided to Facebook Live his horrific actions. I won’t even get into the disgust and pain that brings me. But in the video, the man who greets him at the door of the mosque says, “Welcome brother.” His name was Daoud Nabi. He was 71 years old and a grandfather. He died trying to save someone else from getting shot. Forty-eight-year-old Abdul Aziz distracted the gunman at Linwood Mosque by throwing the closest object he could find at the shooter, disarming him and sending him back outside to his car. He saved countless lives, the mosque’s imam said. But just because we act compassionately and dignified in the face of violence does not mean we deserve death. It’s a cycle. Mocked, hated, hunted, pitied, repeat. White men kill us, and we’re still at fault. They attack us in our places of worship while we pray, but we still aren’t human. WE are the threat worth monitoring, banning and labeling terrorists, not white supremacists. We are slaughtered by white men preaching that “as long as the white man lives, [we] will NEVER conquer [their] lands.” Everyone — except the “white man” — is othered. Islamophobia at its finest, folks. Islam has always been demonized, despite the fact that all it preaches is peace. But the Muslim community is constantly explaining why we deserve to live — as if being human isn’t reason enough. Everyone, ranging from hate-filled torch-carrying, gun-wielding white supremacists to our very own president, tries to get rid of us. But when will they learn you cannot eliminate a faith when its people find peace even when facing death? A man who lost his wife in the attack told BBC he forgives the shooter. The man’s name is Farid Ahmed, my grandfather’s name. If his actions don’t speak for Islam, I don’t know what will. Our people’s blood has been spilled across the world. And now, we are mourning the deaths of 50 sisters and brothers, taken far too soon. Not surprising, but completely indigestible. Muslims stand at the forefront of interfaith dialogue and combating hate. But I am tired. We are tired. Our religion speaks for itself through our actions; we don’t need to keep explaining. The response to the attacks in New Zealand isn’t satisfactory. When black and brown bodies die, we get blanket statements of sorrow, a few pity tears and then everyone forgets. Locally, I’ve seen very little solidarity since the shooting. 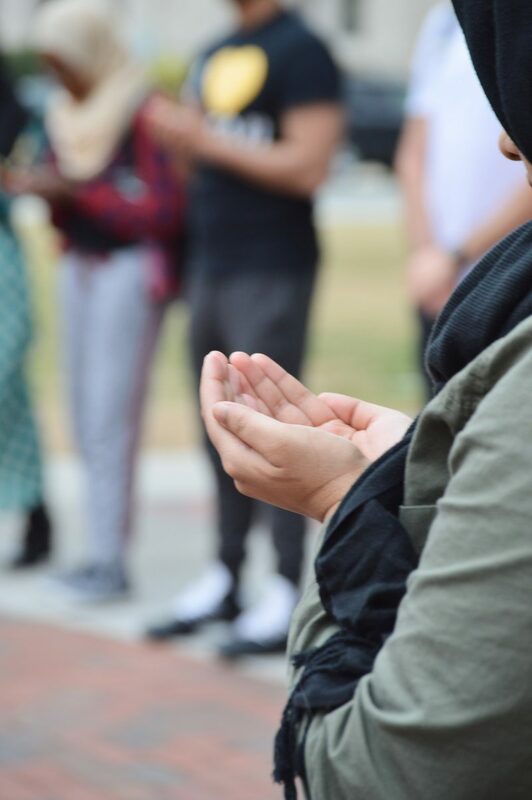 I attended a vigil Friday evening on campus, held by the VCU Muslim Student Association. There was an interfaith gathering at the Islamic Center of Virginia on Sunday. But as a city, there’s a lack of response and condemnation. Stand in solidarity. Condemn violence, otherwise you are no better than the perpetrators of it. 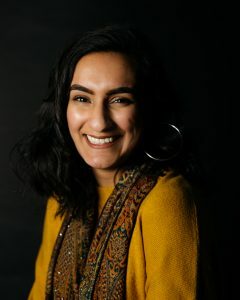 I am not here to preach for the eradication of white supremacy and anti-immigrant or anti-Muslim rhetoric, because I believe those things will always exist. Hate will always exist, in whatever odd shape it shows itself as. But hate is taught and learned by example. So lead a good example. Return hateful speech and actions with kindness and compassion. Accept differences and show solidarity. We all bleed red. At the very least, that should unite us as one. Bigotry and hate can not persist in the face of one-on-one encounters. That you for sharing your personal experience in a personal way. It is a shame that you have had these “otherizing” experiences in growing up. Ignorance, coupled with fear, in some of your classmates in school or in the workplace, seeks to be comforted by attacking and belittling minority groups by those who do this to reassure that they are the majority. Having experienced the ugly name calling and otherization as a white male of a religious minority that has been attacked by individuals, by the press, in the military, in school and in the workplace, I can tell you that race is not the dominant factor you may think it is. Your last paragraph is the key to moving forward, both for minorities who are the object of such attacks, and for those who feel threatened by such minorities.